*The amount of Cash Back earned will vary based on an individual’s use of the card. 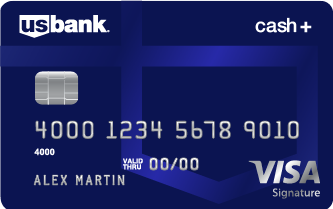 U.S. Bank Cash+ Visa Signature Card includes the flexibility to choose your cash back categories. 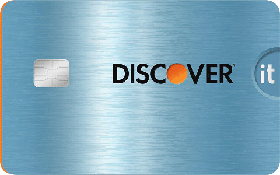 Discover It Card does not include the flexibility to choose your cash back categories. Chase Freedom Visa Card does not include the flexibility to choose your cash back categories. U.S. Bank Cash+ Visa Signature Card includes the convenience of earning up to 5% cash back on your first $2,000 in combined eligible net purchases each quarter on two categories you choose. Discover It Card does not include the convenience of earning up to 5% cash back on your first $2,000 in combined eligible net purchases each quarter on two categories you choose. Chase Freedom Visa Card does not include the convenience of earning up to 5% cash back on your first $2,000 in combined eligible net purchases each quarter on two categories you choose. U.S. Bank Cash+ Visa Signature Card includes more possibilities with unlimited 2% cash back on one everyday category of your choice, like gas stations or grocery stores. Discover It Card does not include more possibilities with unlimited 2% cash back on one everyday category of your choice, like gas stations or grocery stores. Chase Freedom Visa Card has No annual fee: ($0). U.S. Bank Cash+ Visa Signature Card includes Visa Signature benefits. Discover It Card not includes Visa Signature benefits. 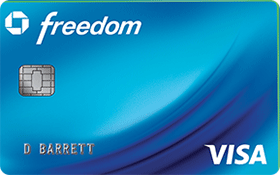 Chase Freedom Visa Card includes Visa Signature benefits. 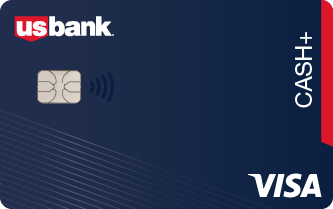 U.S. Bank Cash+ Visa Signature Card includes Options to redeem with no minimum required. Discover It Card includes Options to redeem with no minimum required. Chase Freedom Visa Card includes Options to redeem with no minimum required. Accurate as of date of 10/2018 for the features shown here. Visit our Credit Card Comparison for more options. Use Cash+ with your phone and enjoy the convenience of mobile payments. Security — Your card number isn't stored on the device. Wide Acceptance — Mobile payments can be used at many stores and in apps. Ease — Pull out your phone to pay.